AST5129 Oil Filter Housing Removal / Installation Tool is for use on 2.0 and 2.2 HDi / TDCi engines in Citroën/Peugeot and Ford. AST5129 is required on the DW10C and DW12C engines where it is not possible to locate onto the oil filter housing from above due to the inlet restricting access. The oil filter housing is removed using the 27mm bi-hex spanner. 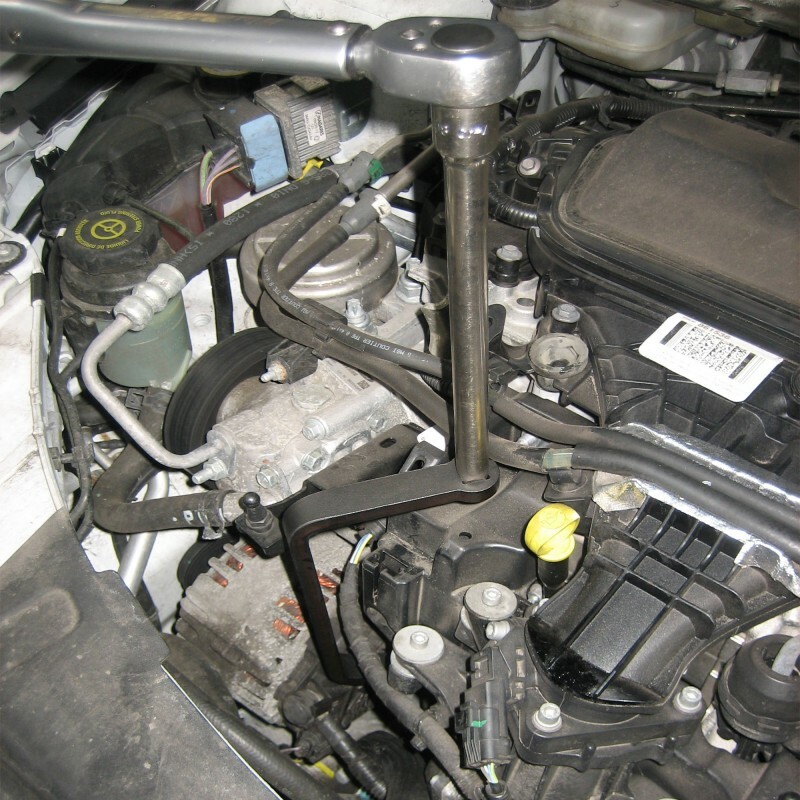 The spanner has been designed in order to avoid the inlet system and wiring loom next to the oil filter housing. The 1/2" square drive allows a torque wrench to be used when refitting the plastic oil filter housing. The correct torque is marked on the housing (25Nm) and should be followed.